The Meyer HFX2800 Tandem Suspension Trailer features a Heavy Duty tubular frame with 28 ton capacity. It is specifically designed for faster road speeds of today's modern ag tractor. It is also better suited for long hauls from the field to the farm compared to traditional ag trailers. High Clearance Suspension axles, oil bath hubs, articulating implement hitch are standard equipment! This unit is specially designed to accomodate our 9130RT BOSS silage box but can be used for other applications. The drive behind the NEW HXF2800 was to build a affordable tandem cart with High Floatation Characteristics. Additional clearance allows Meyer to incorporate larger radial tires to minimize ground compaction and maximize performance in the field! 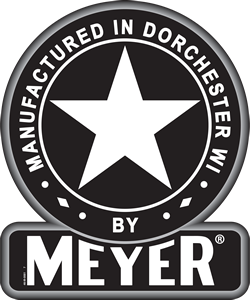 Meyer HFX Trailers feature a 4x8" tubular base frame. 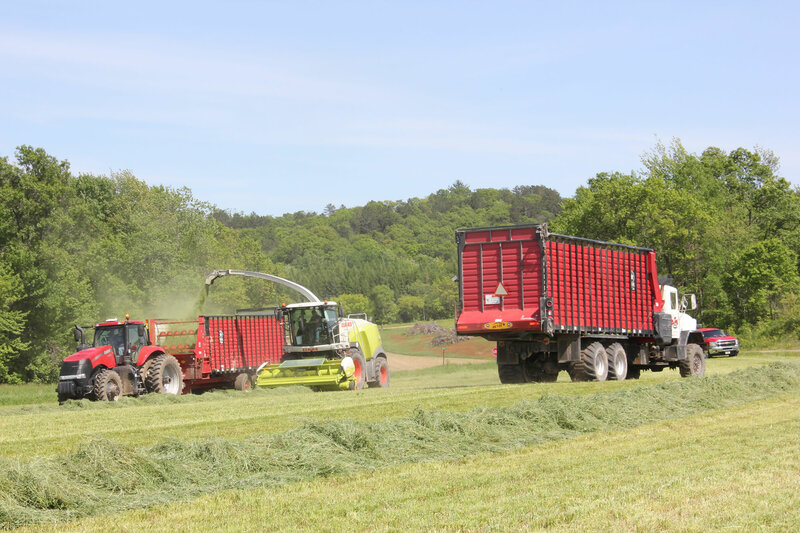 This trailer was designed to handle the load from our popular 9130RT BOSS (30') rear unload forage box but could have a variety of applications on your operation. 28 ton capacity! The HFX2800 High Floatation Chassis provides the perfect balance for Maximum Floatation and Control. You will maintain approximately a 10% load on the tractor drawbar. The Chassis frame is engineered to accomodate a direct mount or weigh bar mount system for scale applications. This massive 6x10 Hitch assembly offers maximum strength for the HFX (1/2" wall!). This HD hitch system handles the load. It is designed with vertical hitch adjustment to match your drawbar height, comes standard with a strong side crank jack / jack storage and provides plenty of tire clearance for today's high horsepower tractors. This wide-profile suspension axles provide stable, smooth transport of your load. 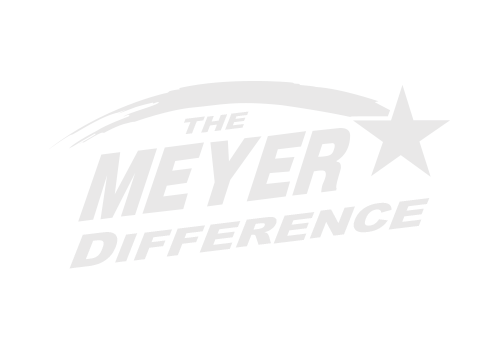 Wide axle widths give Meyer the ability to run zero offset wheels for added strength! All HFX2800 trailers have 10 bolt, oil bath hubs for maximum lubrication and minimum heat build-up! HFX Tandem Trailers offer factory 710/50x26.5 radial floatation and will accomodate up to an 800/40x26.5 tire. HFX Suspension Trailers come standard with brakes installed on the axles. It is however necessary to order a brake actuator package if you would like functioning brakes (hydraulic hand lever or foot pedal systems available). This Articulating Implement Hitch is a HD cast design and features a ball swivel to match terrain changes. It will accomodate a 1.5" or 2" pin and does require a hammerstrap tractor drawbar. Scale Packages are available in conjuction with a forage box installation. The weigh bars would mount between the chassis and the forage box frame in this suspension trailer application.